José Mourinho’s plan to take control of Manchester United’s transfer-botching negotiating department has faltered, after a summit meeting with Ed Woodward at which he planned to propose it was cancelled at the last minute. According to the Mirror, Mourinho “revealed to close advisors it left him angry and frustrated”, but he will be heartened by news – as reported by the Guardian – that he will be handed a “potentially more than £100m” winter war chest. This won’t be enough for them to buy Jordi Alba, however, with Barcelona determined to hold on to their 29-year-old full-back, linked with United by someone somewhere at some point, unless someone stumps up his £133m release fee in full. Still in Spain, Mauricio Pochettino has emerged as Real Madrid’s No 1 choice to be their new manager, and they want the deal done “by the end of next month”, according to the Mirror, which is not as long as it sounds given there is only one day left of this one. And back to Barcelona where, according to the Spanish newspaper Sport, top club suits met last Thursday to discuss the future of Ousmane Dembélé, in the doghouse after turning up late for the recent match against Sevilla, and decided they should probably sell him in January. “Barça,” they report, “have decided to act strongly on the issue.” Though the fact that he since came off the bench to perform well in Sunday’s clásico muddies these transfer waters somewhat. Liverpool, Chelsea and Arsenal would all be keen to bring the Frenchman to England, given the chance. Chelsea’s path to successfully signing Brescia’s 18-year-old midfield tyro Sandro Tonali is increasingly scattered with obstacles, with the Sun reporting that several Italian clubs have realised he is quite good and that he may want to join one of them instead. Roma, Milan and Juventus are known to be following his progress and now Internazionale have got involved as well, sending club legend Giuseppe Baresi to watch his latest match. Rafa Benítez is, says the Express, “confident that Newcastle owner Mike Ashley will give the spending go-ahead and hand over a substantial transfer kitty” so the club can spend their way out of relegation trouble in January. Although it also warns that “no specific figure has been mentioned”, so it’s probably best not to get too excited. Also planning to surf their chequebook through the Premier League’s choppy waters are Fulham, who spent £105.3m in the summer and still find themselves in the bottom three after 10 games, the only possible conclusion being that they should spend much more. “There remains funds available to add additions in the winter window,” trumpets the Mail, “and Fulham are prepared to spend again to give themselves the best chance of staying up”. The main question now is which coach will supervise the spending, with Slavisa Jokanovic “frustrated at his lack of input in regards to transfer policy”, and the club frustrated at his lack of input in regards to making his team play reasonably successful football. Aston Villa have identified the man who can make their midfield tick, and it’s someone they wisely snapped up when he was just 14, showing the intelligence and foresight with which their transfer dealings have not always been synonymous. Sadly they let him leave for a song when he was 23, and five years later they will have to pay £8m to get Barry Bannan back from Sheffield Wednesday, where he is just two months into a new three-year contract. Victor Wanyama has emerged as a shock transfer target for a host of Premier League clubs after losing his place in the Tottenham Hotspur midfield. The Kenya international was a regular for Mauricio Pochettino’s men during his first season at the club after joining from Southampton in 2016. However, a succession of injuries have seen Mousa Dembele and Eric Dier form a solid base for Spurs in his place, with Moussa Sissoko even proving to be a reliable option from the bench. According to the betting market, Manchester United are leading the way at a price of 8/1 to sign the 27-year-old, followed by Liverpool at 10/1. According to Football Insider however, London rivals West Ham United are thought to be keen to bring in the Kenya captain as new boss Manuel Pellegrini is thought to be unsatisfied with his options in midfield. On Saturday evening, the Hammers partnered winger Robert Snodgrass in midfield with 19-year-old centre half Declan Rice after club captain Mark Noble saw red for an atrocious tackle. Although Spurs are unlikely to allow a rival club to snap up one of their players, the possibility of first team football may prove too enticing for Wanyama to turn down. Sky Sports pundit Charlie Nicholas has predicted that West Ham will knock Tottenham Hotspur out of the Carabao Cup for the second year running on Wednesday. The bitter London rivals meet for the second time in two weeks at the London Stadium tomorrow evening, with the Hammers looking to repeat last season’s 3-2 triumph at this exact stage of the competition. Nicholas has now delivered his prediction for the game, foreseeing a 2-1 win for the Irons to avenge their recent 1-0 loss in the Premier League, with Spurs rotation highlighted as the key factor. In his predictions for Sky Sports, he said: “Playing on Monday night forces Mauricio Pochettino’s hand here as he’ll have to make big changes and give the youngsters a run out because the squad just isn’t big enough. “It’s a tough one for him now as even winning this competition won’t really prove anything as he’s lifted Spurs to challenging for the title and playing in the Champions League. This is an interesting prediction from Nicholas, who is absolutely spot on about inevitable Tottenham rotation. Their match against Manchester City last night saw Pochettino field a strong team, and one which unfortunately could not get anything from the game against the defending champions. That is likely to see wholesale changes made to his starting lineup, including a possible debut for midfielder Oliver Skipp. That being said, Pochettino should still be able to field a relatively strong XI even with a lot of rotation, and can most definitely put out a team capable of beating the Hammers again. Nicholas’ second claim about the fact that winning this competition would not prove anything is questionable when you consider that Spurs have not won any silverware in more than ten years now. Ask any Spurs fan and they would absolutely want to win this competition, just to prove they are ready to win those bigger competitions. 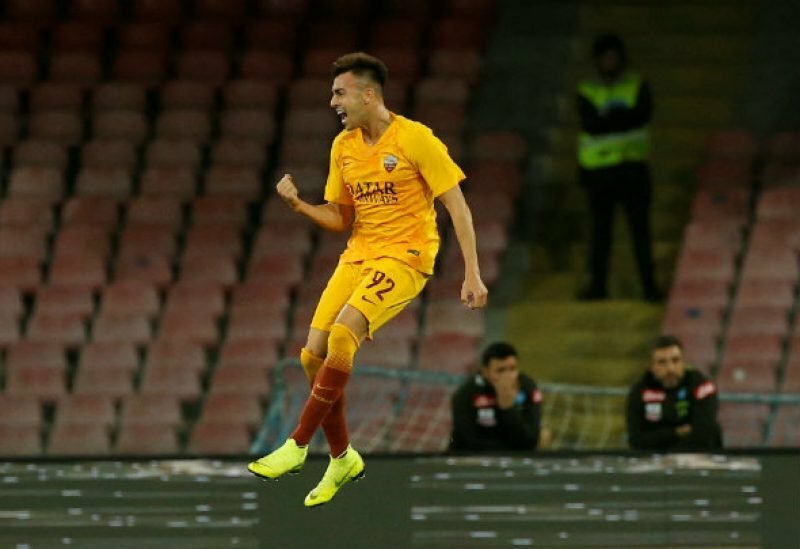 West Ham United have made enquiries about the availability of Roma attacker Stephane El Shaarawy ahead of the January transfer window, according to Italian journalist Nicolo Schira. Schira, who writes for La Gazzetta Dello Sport, reported on his personal Twitter account on Tuesday that the Hammers had been ‘probing the ground’ for the Italy international. The journalist added that El Shaarawy however is only interested in playing for current club Roma, with talks underway regarding a new contract until 2022. Watford are also said to be interested in the 26-year-old. El Shaarawy has been one of the biggest talents in Italian football for several years, and despite him not quite living up to his potential, the 26-year-old is still a wonderful player. Three goals and two assists for Roma so far this season illustrate his recent upturn in form, and West Ham would undoubtedly be a better side with him in it. Andriy Yarmolenko’s injury means that there is space in the squad for another winger, so this is again a move which makes sense for the Hammers. El Shaawary is obviously keen on remaining in Rome, and with talks already begun over a contract extension, the likelihood of him leaving looks low. I wasn’t aware, until during the aftermath of his latest sending off, that Noble had accrued 5 red cards during his first team career with us. That’s the same amount as Julian Dicks! I am surprised Mark has only seen 5 red cards - I thought it was a lot more. Maybe it does not include the games where Mark got 2 yellow cards ? "Mark Noble saw red for an ATROCIOUS tackle"
Did Hermit Rd write this article?